Chromebooks are lightweight notebooks that run on Google Chrome OS. As Linux kernel powers the operating system, the Chromebooks are reliable and secure. They are perfect companions for people accessing the internet frequently. If you have purchased a Chromebook, download and install the following Chrome apps to get the same experience as the Windows OS. 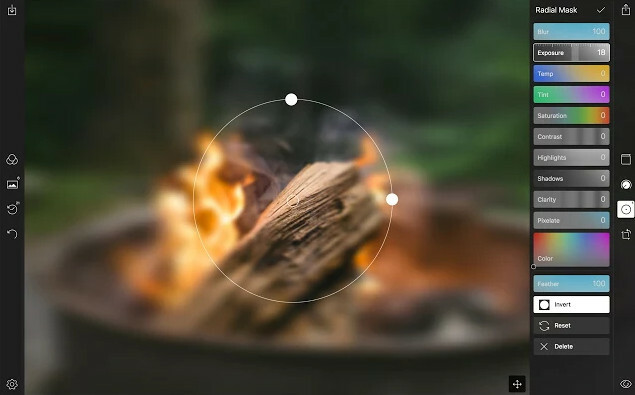 If you’re searching for a Chrome app to apply filters to the photos or you want to change the brightness, color, contrast ratio of the images, then this app is for you. Polarr offers over 40 filters and has an auto color adjustment function. Its size is 13 megabytes. Polarr supports the drag-and-drop feature. The app lets you resize the window and it provides sliders to change the field’s value. It supports batch export feature and RAW format files. Polarr consumes a small amount of RAM. It doesn’t affect the Chrome OS performance when you run it. The only drawback of Polarr is that it doesn’t provide photo editing tools such as brush, bucket fill, etc. Pixlr is an online photo editor app for Chromebooks. 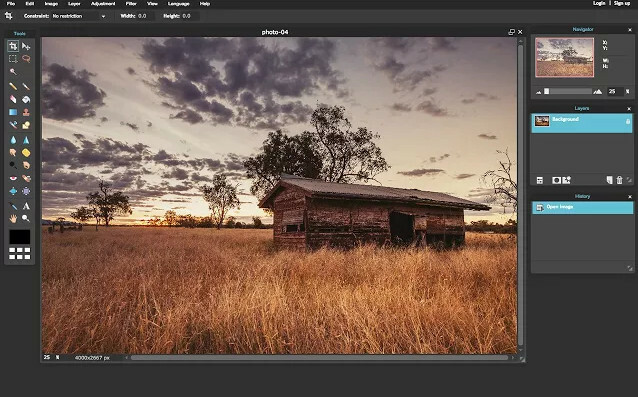 It overcomes the limitations of Polarr by offering many tools. Hence, Pixlr is a good alternative to Polarr. Apart from providing filters, this Chrome app offers tools that you’ll find in GIMP, Photoshop, or MS Paint. If your Chromebook doesn’t have enough free space, create a free account on Pixlr. If you do so, you can save your work on the server of Pixlr. The Office Online app from Microsoft Corporation allows you to create or edit MS Word, Excel, PowerPoint, sway files on a Chromebook. To use it, you must sign into your MS OneDrive account. 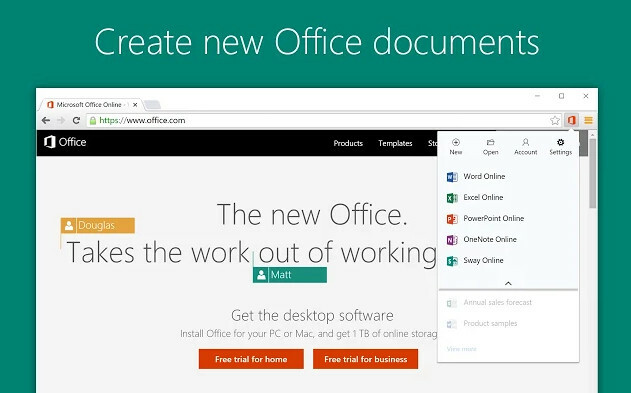 Unlike MS Office for PC, Office Online is a free service. It offers the same set of tools you’ll find in the desktop version of Microsoft Office Suite apps. If you’ve installed the offline version of Word, PowerPoint, Excel, you can launch the application from the web interface of OO. The app syncs your work automatically to the PC if you use this feature. OO saves your files securely on the secure Microsoft servers. You can access them anytime. OO is the best Chromebook office app for editing excel, csv, presentation files. It is one of the top Chrome productivity apps. VC provides a no-nonsensical approach of converting media files from one format to another. Once you install it, VC takes you to its official website where you’ll find the option to upload a media file. This Chrome app supports files stored on Dropbox, Google Drive, or another storage platform. Then, you must choose the target file video resolution and specify the video, audio codecs. You must also set the desired output file size. Finally, click on the convert button and wait for the tool to complete its task. 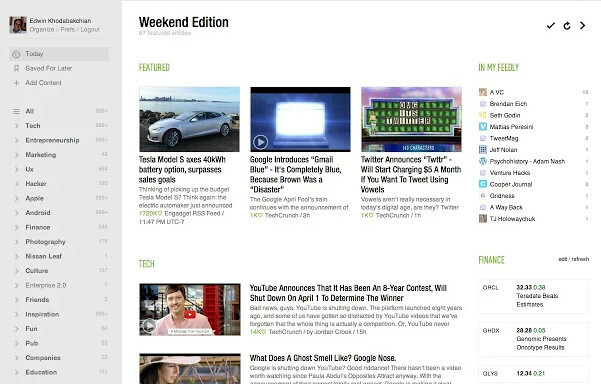 Feedly is one of the top-rated apps on the Chrome Webstore. With this application, you can read news on the Chromebook without opening a website. Feedly doesn’t recommend news stories to the users. It provides a search option which you can use to find a list of top news portals/channels and articles containing a specific word. Save a story for reading it later. Copy the news source URL to the clipboard. Share the story on social networks or send the news to the inbox of an email address. Apart from work, you may like to watch videos or listen to music in leisure time. With JSTorrent, you can easily download large torrent files. By default, JST saves downloaded files to the downloads folder. The application has advanced functions i.e. you can pause, resume, seed a torrent file. It supports large files having size over 1GB. With this application, you can gain access to a computer running on Windows or Linux OS and of any geographic location. 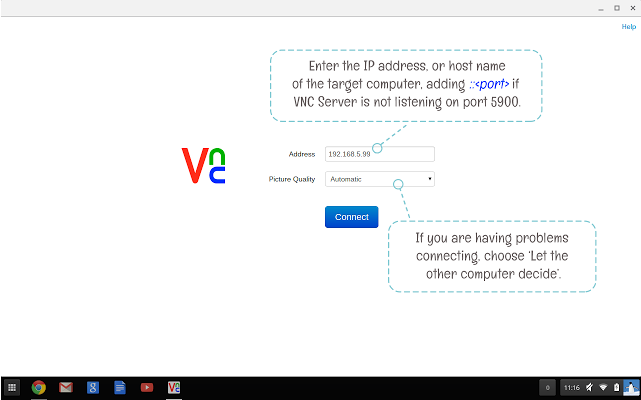 VNC app prompts users to enter the IP Address of the remote PC and asks you to chose a picture quality. If the computer is on the same network, choose the highest picture quality. If the PC is on a different network and your internet connection is slow, select lower picture quality for good experience. WL is a task-management app with the highest ratings among the apps of the same category. 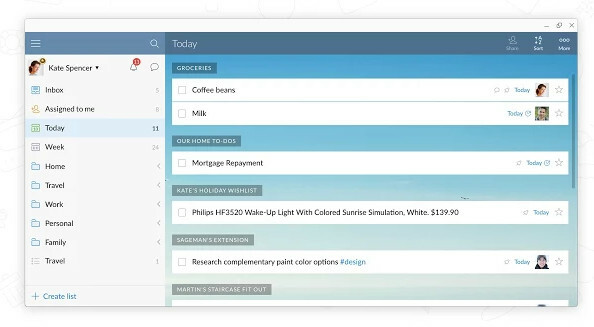 It allows you to create a to-do list, set reminders, and more. WunderList offers an intuitive interface. Once you register a free account, WL asks you to select the type of list you want to create. Then, the application shows a text box and a button to add items to the list. WL enables you to duplicate a list. It has the option to share to-do lists on social networks. In case you’ve created plenty of lists, WL lets you sort the lists alphabetically. It is one of the must-have Chrome apps for 2019. GO is a free application that lets you access your emails offline. It takes few kilobytes storage memory on your Chromebook and provides a brilliant UI for a great experience. 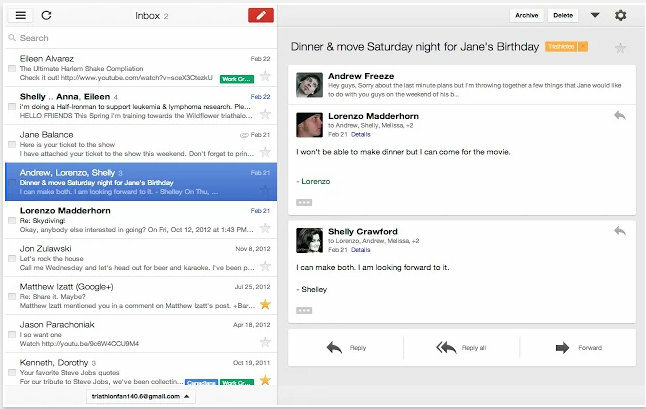 Gmail Offline keeps copies of recent emails you’ve sent or received on your Chromebook. A notebook is incomplete without a media player application. VLC is a popular program that supports playback of almost all media files known to mankind. It is a free application with superb features. VLC is easy to use and provides a variety of options to the users. If you’re a computer science student, install the free Draw IO app to improve your productivity. 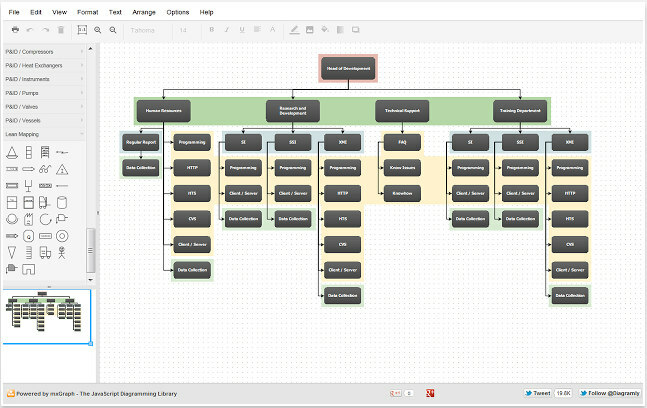 DIO allows users to create entity relationship, flowchart and many other types of diagrams for their project. Although it is a lightweight application, DIO offers many functions. For the proof, you can see the above screenshot. Our list of best Chrome apps for 2019 features lightweight application with incredible features. If you have bought a new Chromebook, install each app we’ve mentioned above. Note: You can use the above apps on Linux or Windows OS. To launch an app, paste this URL chrome://apps/ in the browser’s address bar and press the enter key.